Yeah… That’s kind of a misleading title for this post. Makes the soup sound like it’s made out of Grammas. Yes. I know that it’s not ACTUALLY spelled Gramma. To be honest, I don’t remember when I started calling my grandma ‘Gramma.’ But I just liked it better. Everyone else calls their grandmothers Mee Maw or Gammy. A woman named Myrtle shouldn’t be called Gammy. It’s ridiculous. Let’s just call her Gramma and be done with it. 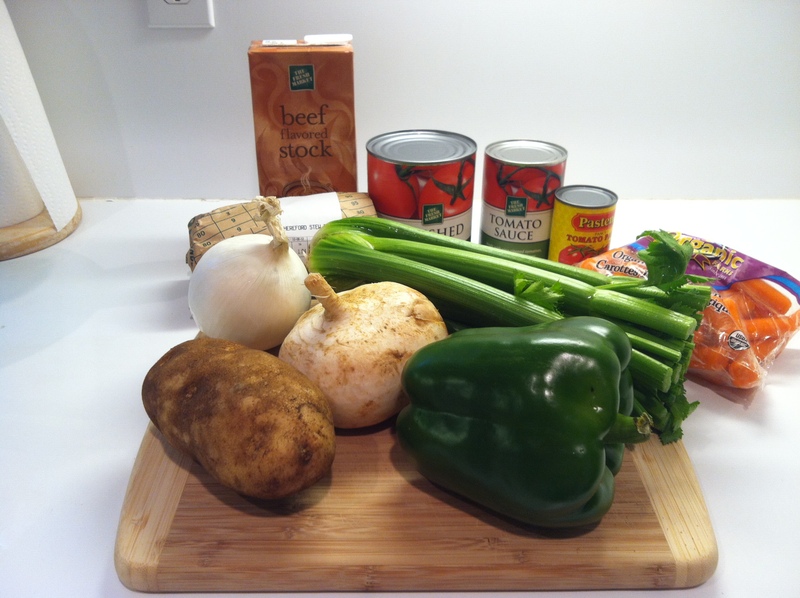 So, for my first real food post on My Fake Food Blog, I thought I’d go for a classic: Gramma’s Vegetable Beef Soup. 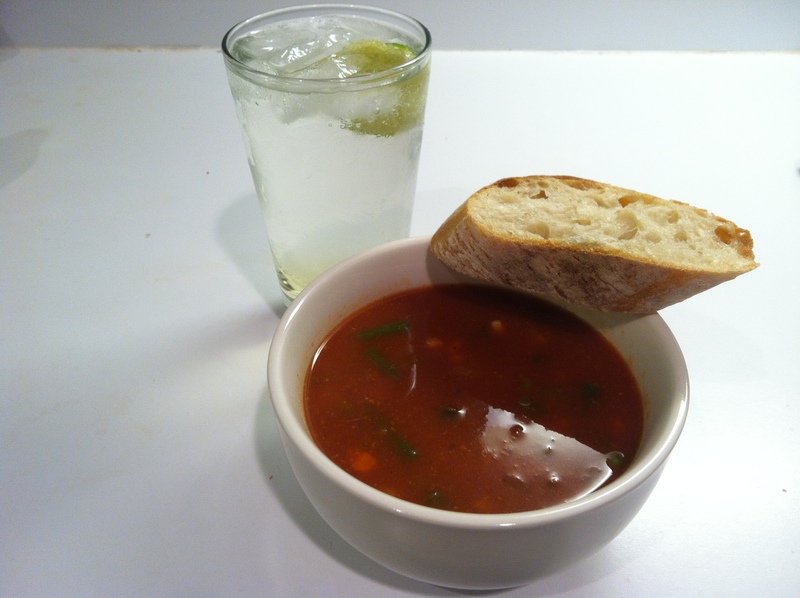 The best thing about this soup is that you can totally tailor it to your tastes. Want to make a half batch? Easy. Hate carrots? Cool. Want to add some seasonal parsnips? Alright, calm down. You also need: a cutting board, a knife, a giant pot and some sort of wooden spoon. 1. 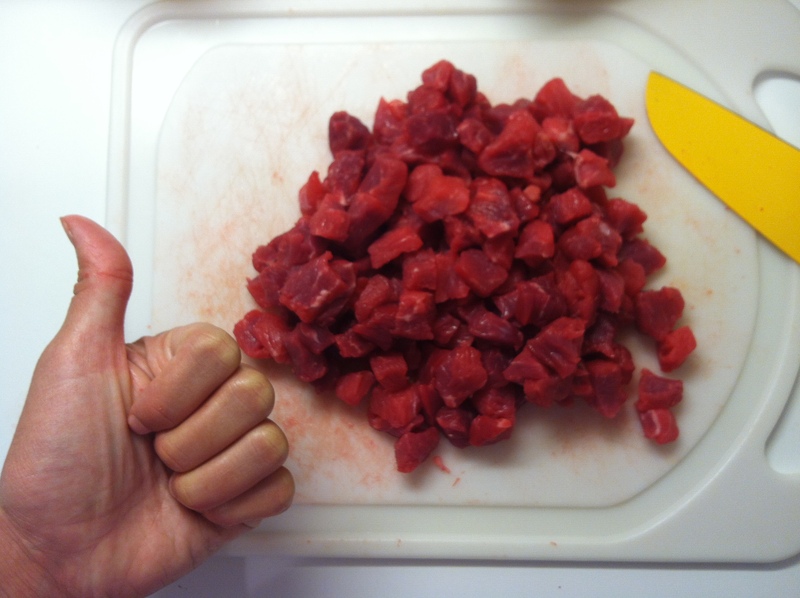 Cut your stew beef into small, bite size chunks. When it’s chunked (gross), put it in your pot and add water to cover. Season with salt and pepper and turn to medium heat. 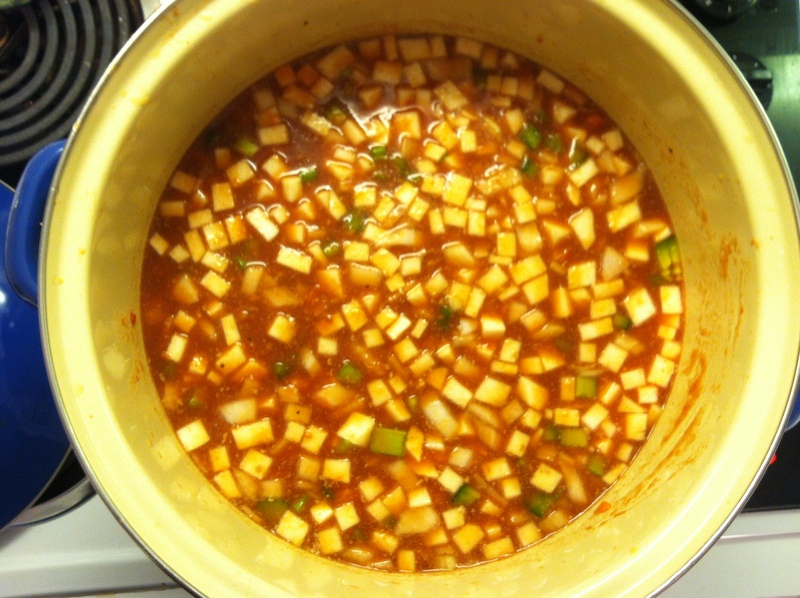 In 15-20, minutes, meat should be just cooked through and you’ll have a nice meaty flavor base for your soup. 2. While your meats a-heating, peel and chop your vegetables. 3. Add your liquids (crushed tomatoes, tomato sauce, tomato paste) and vegetables to the pot. Season with more salt and pepper. Taste. And then, what the hell, do some more salt and pepper because if you’re like me, you did not put enough in. 4. Bring to a boil. Then reduce to a simmer, uncovered, until your vegetables are tender but still toothsome. Again, if you are like me, you will forget to reduce your soup to a simmer, so you will have accidentally left your pot on a full rolling boil for a solid 25 minutes. Which was kind of awesome because all the vegetables were perfectly done. 5. Add frozen vegetables. Stir and heat through, 5-7 minutes. 6. Taste one last time for salt and pepper. Is it seasoned enough? IS IT? Serve with crusty French bread or a lovely salad. Makes: A TON. Seriously. If I did the math right, you can get 16 very healthy servings out of this soup. 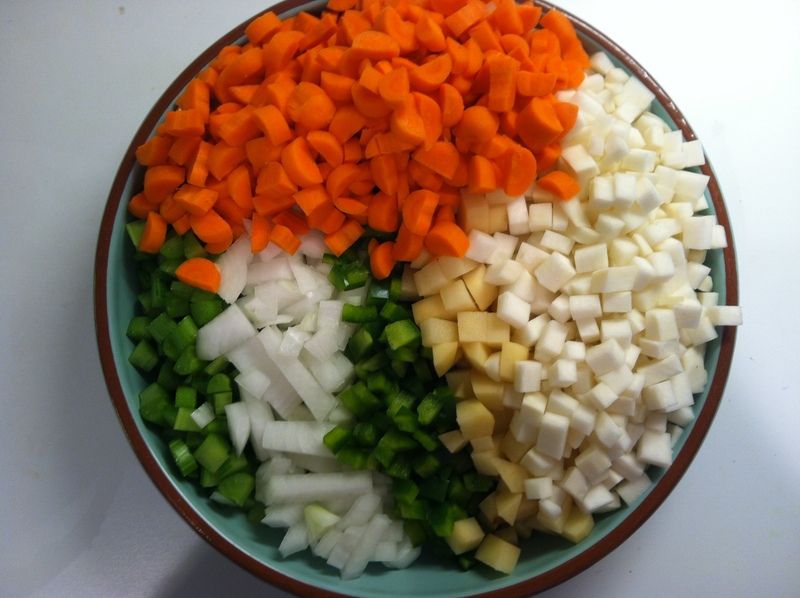 Like most soups, this is going to be so much better the next day, after the flavors meld together. And it freezes splendidly. -My Gramma always puts cabbage in her vegetable beef soup. I didn’t have any on hand and didn’t feel like buying it. But if you’re a fan, go for it. Green cabbage or savoy, not red. -If you have cans of vegetables at home and want to throw those in, you can. Just make sure you follow this basic principle: hard vegetables that will take a long time to cook go in first and longest. 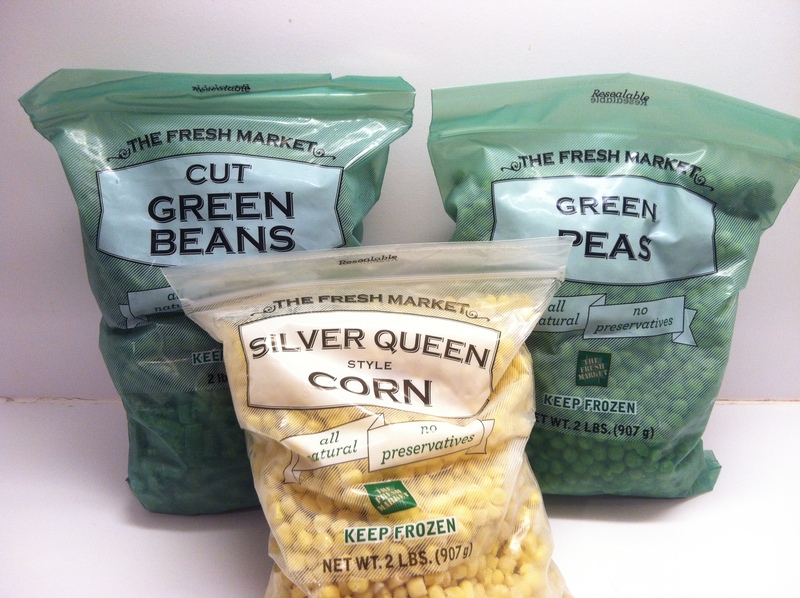 Frozen and/or canned vegetables that just need to be heated through go in at the end. -Gramma also always puts turnips in the soup, but I’d never done it before. So, I bought my very first turnip and put it in the soup, y’all. I bought an EM-EFFING TURNIP. It was a lot less intimidating than I thought. I wanted to impress you guys. Are you impressed? Probably not. Haha. So that’s Gramma Soup. 100% human free. Made BY Grandmothers, Not OF Grandmothers. PS. 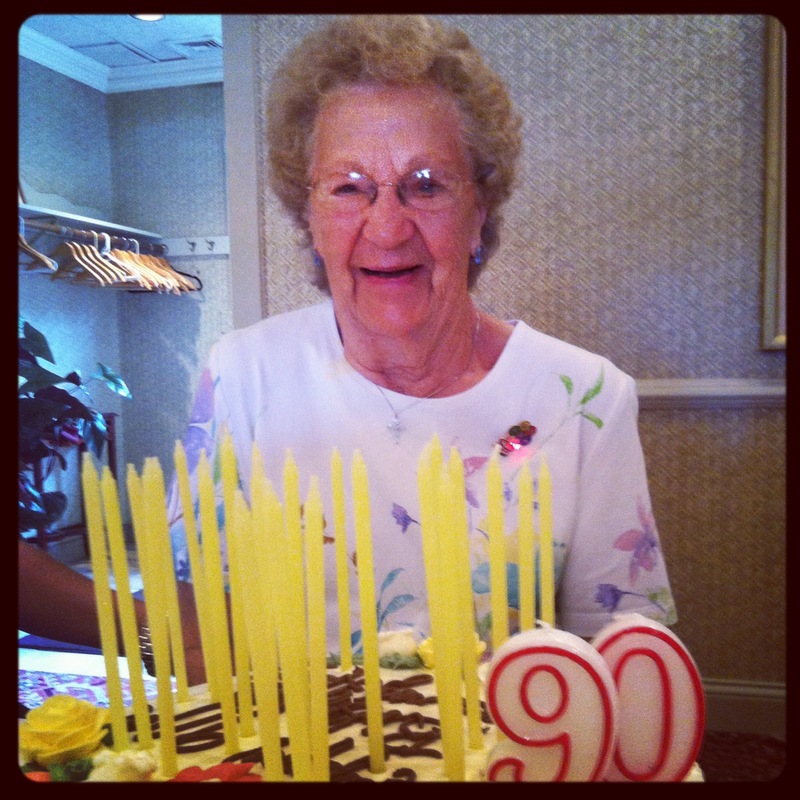 This is Myrtle on her 90th birthday. You know how you’re still a badass at 90? By eating soup.